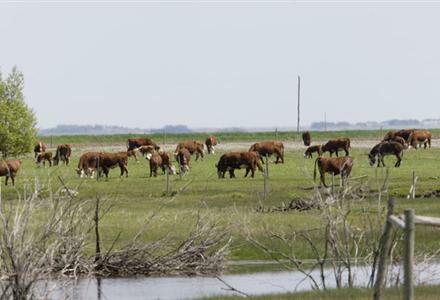 Saskatchewan’s agriculture minister says it’s an opportune time for ranchers to buy federal pasture land that could be up for grabs. There are 60 federal pastures in Saskatchewan that Ottawa is walking away from to save money in its budget. Most of the 1.78 million acres, or more than 720,000, hectares will revert to the control of the province — doubling the amount of pasture land Saskatchewan operates. Bob Bjornerud says the province is looking at all the options, but it doesn’t want to own the land. He says it makes sense for producers, either as individuals or as a group, to buy the land. Bjornerud acknowledges that farmers might need financial help to do so and he thinks Farm Credit Canada could play a role.